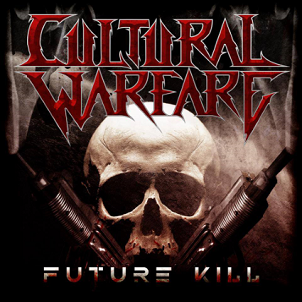 A bit hard to see where Cultural Warfare’s Future Kill EP fits at the moment. Had it been released seven or eight years ago, it would have been neck-and-neck with the Johnny-come-thrash-lately’s who inundated the scene with their faux high-tops and affinity for Bonded by Blood. 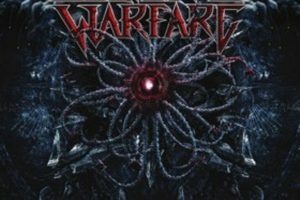 Indeed Cultural Warfare are unafraid to declare their love of old-school thrash, but thanks to Future Kill’s relatively modern production job, it stays out of retro waters. Thankfully. Combining the comedic, animated angle of Nuclear Assault with the bruising, heads-down action of Rob Dukes-era Exodus, Cultural Warfare manage to whip up a stream of apocalyptic, war-torn thrash on “Defy the Blade” and “Ratten Krieg,” the latter of which finds vocalist Jaques Serrano at his most emphatic. However, a good chunk of these riffs feel stock and familiar, although the opening runs of the title track emerge as a winner. Thrash will forever be served by its top-tier and subsequent notch-below bands (Death Angel, Exodus, Overkill, et al). A group like Cultural Warfare is worth a nod simply for their unyielding adherence to the style’s principles. While Future Kill may be an odd duck at the moment, Cultural Warfare at least deserves credit for hanging around after the kiddies hung up their patch-infested jean jackets.